Uddeholm is part of the voestalpine Group and is the world’s leading manufacturer of high performance tool steel. 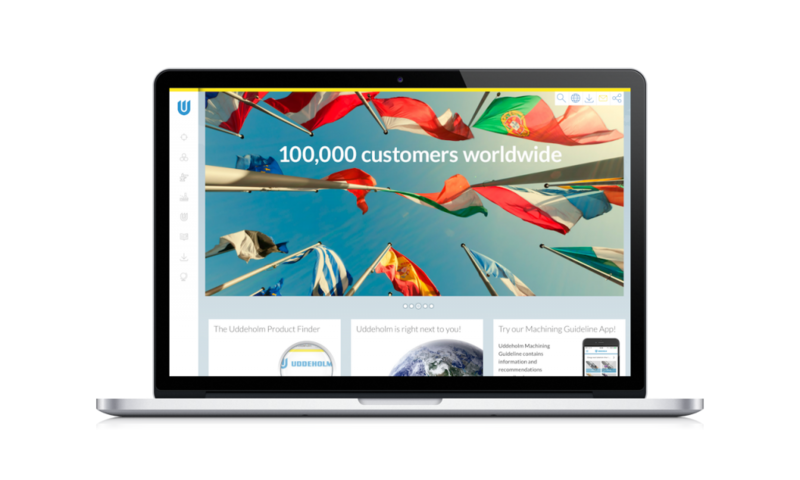 We have built a crawling and search infrastructure that provides the high quality foundation for searching over Uddeholm’s 80 corporate websites. 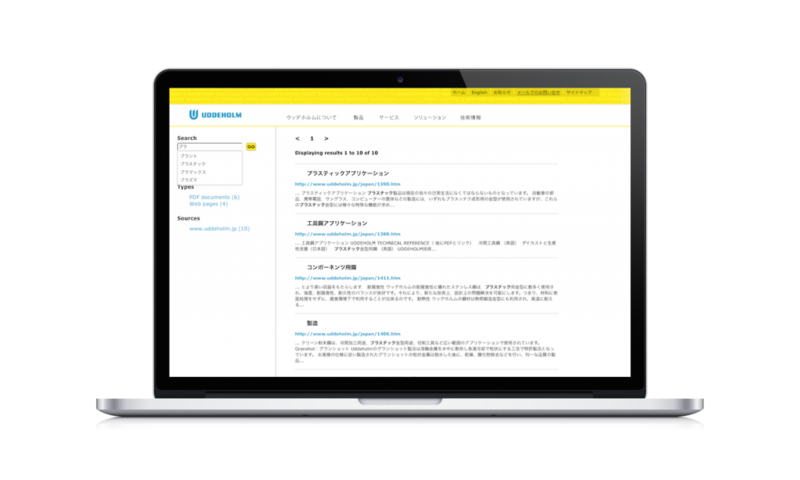 Language sensitivity – The Uddeholm search crawls and indexes web content in Japanese and more than 20 other languages. 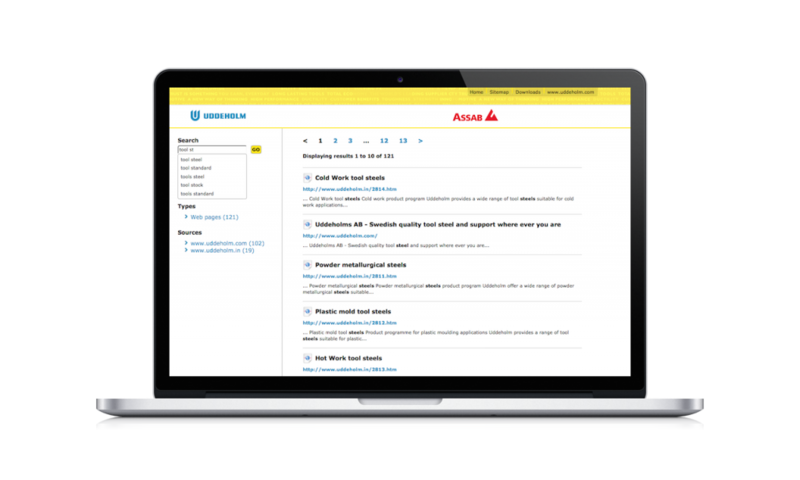 Auto completion and fault tolerance – The Uddeholm search has a smart, language-sensitive and fault-tolerant auto-completion of search terms and phrases.